Are you tired of seeing “Made in China” on everything your purchase? Even my eight year old son made that comment recently and it really reinforced my commitment to support businesses that offer products made in North America. KeepAmerica.com is an online resource that makes it easy to buy products that are made in the U.S.A. There is a wide selection of products available featuring jewelry, clothing, toys, accessories, pet products and even great ideas for home, sports and hobbies, auto and hardware, shoes, outdoor and much more. 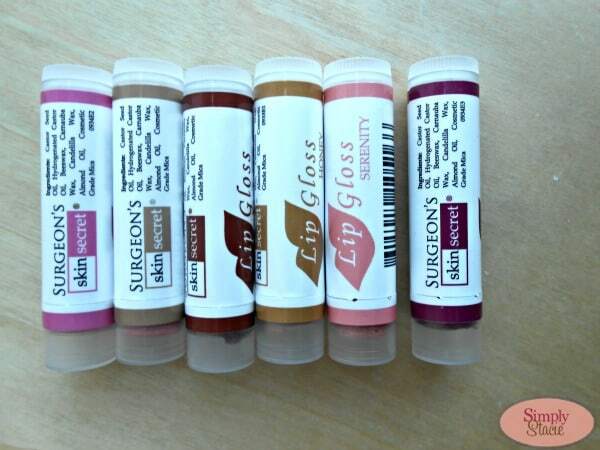 I selected a set of six lip glosses by Surgeon’s Skin Secret ($29.95/set) in an assortment of pretty shades. I love how moisturizing these lip glosses are thanks to ingredients like beeswax, almond oil and carnauba oil and my lips are soft and smooth yet never sticky or tacky. It provides the perfect shimmering hint of color for everyday use featuring “Serenity”, “Honey”, “Girls Night Out” and my favorite, “Pink Diamonds” along with two other lovely shades. I also love the beautiful Scroll Heart Earrings ($12.95) that are uniquely made with strong, thin wood that is so lightweight and comfortable to wear. 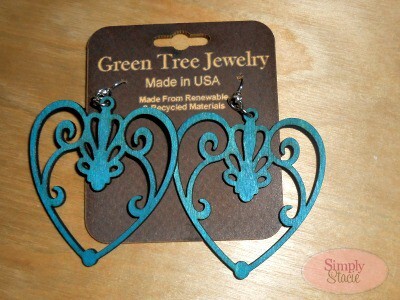 These earrings are so stylish and I will wear the aqua marine color as a summer jewelry staple. I am very impressed with the quality of these earrings and the attractive price point. There are so many neat products that would be perfect for my husband for Father’s Day and a few possible gift ideas are the NFL Utility Mat ($9.99), the Eagle USA XDri Performance Long Sleeve T-Shirt ($13.99) and some really cool barbecue grilling accessories and gadgets. There are also some really neat toys to keep the kids busy outside this summer such as the Little Tikes Tire Swing ($42.99) and the Home & Garden Playhouse ($144.49). The one product that my children and I are gazing at longingly for the home school room, the Glacier Collection Child’s Table and Chairs ($209.99/$169.99) which is absolutely stunning! For child pool safety, I highly recommend checking out the “Safety Buoy” Pool Alarm ($149.95) and the Inground Pool Alarm ($219.95). I am very impressed with the selection of products available from KeepAmerica.com and I love that every purchase made will help to support products that are made in the U.S.A and keeps jobs for our hard-working men and women! You are invited to visit KeepAmerica.com to browse the entire selection of American made goods. The website is easy to navigate and I was pleased with my first order…..I will definitely shop at KeepAmerica.com again! I would love the NFL Grill Mat for my hubby! The Lavender Delight Moisturizing Goat Milk Soap looks very nice! I like the 14K White Gold Diamond Accent Love Knot Studs too. I’d like to have “The Patriot” Fire Pit (Natural Steel Finish).